Who did UK's TV Chanel 3 (ITV1) pick to film a new show in production called 'Storage Hoarders' to get the most cash when you selling your gadgets and games? 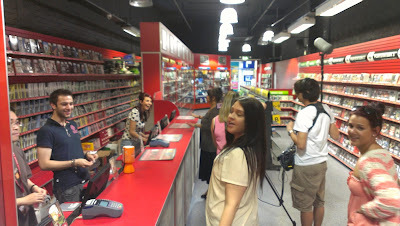 They filmed in CeX Shepherds Bush in the W12 Shopping Centre recently. Maybe you were papped by the film crew? 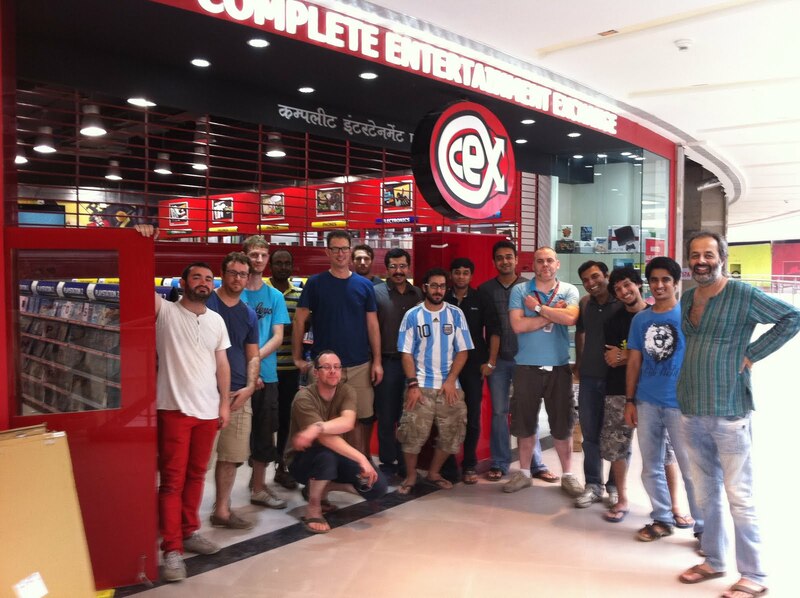 They had boxes upon boxes of gadgets, games and movies that were sold to CeX for a fist full of cash. Thanks to everyone involved & CeX Shepherds Bush! Things just keep getting better and better for fans of the fighting genre. Waves of high profile titles have sparked a new era for gamers and this momentum continues with the introduction of Tekken Tag Tournament 2. Fans of the series will know that Tekken has never been known for user friendly control mechanics or robust learning systems – rather this is a serious game that requires commitment, patience and the acceptance that in order to get better, you will have to lose. However, those willing to stick with Tekken Tag Tournament 2 will find a precise, dynamic and an incredibly detailed fighting experience that has almost no limit to the amount you can progress as a fighter. At its heart TTT2 is a very intricate close-quarters combat fighter where the combos are complex, long and often fatal. Players will have to understand the pace of the game, how to prevent loop chains and how to perform devastating combos using the three appropriate command prompts: launching, bounding and tagging. As with most fighting games players can launch their opponent in the air allowing time and room to put together a chain of moves into a combo. This can be combined with bounds, which bounce your enemy off the ground, providing again time or bringing them down from the air and looping a combo over. Using your partner and tagging them into the battle can string these two wonderfully advanced techniques neatly together. Players can have their partner jump in and continue or take part in a combo, be it a throw that does more damage or a string of attacks with them leaving you to perform the final blow. Just from reading this it’s apparent that time and effort are needed to come to grips with this style of fighting and we’re not even talking about blocking your opponent’s moves while thinking about all these mechanics! Fortunately this is where TTT2’s Fight Lab comes into play. TTT2 might act like a stuck up braniac, not offering you any help on how to perform these awesome advanced manoeuvres, but Fight Lab certainly does a great job at introducing the basics. This tutorial-esque story mode sees you building an ultimate robot that takes moves from across the entire board of characters. As a result, it teaches you all the basics in movement, defence, offence while at the same time slowly weaning you into TTT2’s more advanced mechanics. Unfortunately the only way to really learn how to play TTT2 is to get stuck in and jump right into the deep end. You may lose heavily but you’ll be learning quickly when you begin your journey online. Here you will find a competitive ranking mode alongside friendly player matches, with the latter being the perfect place to really begin learning what TTT2 is truly about. There’s also a bunch of nifty options to make your online experience tailored to your needs. Character filtering in particular allows you to fight against enemies you want to study or feel you seem to constantly lose to. Friends can also pair up and simply practice and of course you can get a buddy to be your partner as opposed to controlling two characters in your team. Ranked combat is a whole different kettle of fish however, with players already proving their skills by launching up the personal rankings. That’s a shark pool and only the brave and most advanced warriors would want to wade into that water. TTT2 isn’t all serious, in fact you will see in Fight Lab that the story and narrative is actually quite amusing. Alongside Fight Lab there is a host of offline game modes to try if perhaps you’re not feeling up to going online straight away. All the usual modes are present including Arcade, Practice, Offline Versus and a bunch of others to get stuck into. On top of this the game rewards you constantly with money that you can use to unlock different aesthetics such as hairstyles, clothes and accessories, allowing the game to be customised in any way you want. From a technical perspective TTT2 is very impressive. Visually the game is stunning and combat feels precise, intricately woven and fine-tuned. When playing online across different regions on the PlayStation 3 I experienced flowing battles with those playing on 3 or 4 bars of connection. Any less is definitely not recommended because a game of this precision requires a steady and smooth connection. Ultimately Tekken Tag Tournament 2 is a ferocious fighter that comes charging forward if you’re not prepared. Time will need to be taken to grow accustomed to its merciless mechanics and intricate move pools. There’s plenty to explore with 44 characters present and combining them with each other as a tag-team opens even more doors. 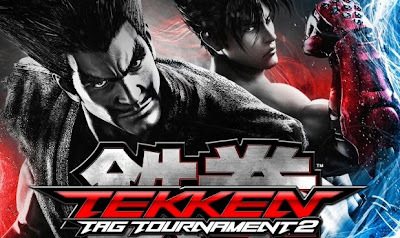 As a result Tekken Tag Tournament 2 may not be the most accessible fighter, but it’s certainly one of the most technically rewarding. If you put in the time the possibilities are almost limitless. This is truly a very advanced and very impressive 3D fighter. Although you will hear the notion that a very difficult learning curve and steep mechanics may be a hindrance, I simply refuse to believe that to be the case. It is true that Tekken Tag Tournament 2 is not wholly accessible to the mass market; even to some of the fighting game community, but that doesn’t mean the gameplay isn’t absolutely incredible. What happened to the days when difficulty was a good thing and gamers waited patiently for an experience that could stump and even stifle them. Be warned, you will need to put the time in, you will need to practise and you will need to lose. Cross those bridges and a brilliant fighting game awaits with endless potential for fun and competition. As with all Tekken games, Tekken Tag Tournament 2 is vibrant, full of life and offers all the game modes required to really get stuck in. A commendable list of 44 characters makes this a large and for the most part, balanced pool of characters, something that’s incredibly important for a fighting game this technically advanced. Indeed between all the chaos there will be times you will stop and truly admire the beauty of Tekken Tag Tournament 2, both technical and visual presentation. It’s very difficult to create that perfect fighting game that simply demands constant replay. I myself am a massive Street Fighter 3rd Strike fan and to this day, I still play. Tekken Tag Tournament 2 will demand replay not only because it’s brilliant, but because there’s always something to do, be it offline or online. With so much to learn, so much content to unlock and so many characters to try and get to grips with, true fans of fighting games will find it very hard to put this one down. Tekken Tag Tournament 2 won’t be for everyone, that’s absolute fact. Despite this fairly blunt statement, it is truly a remarkable game. It really says something about the difficulty curve when it’s hard for me to even recommend this to gamers who like fighting games, but have never played something more advanced like Virtua Fighter or Dead or Alive. This is truly an experienced fighters’ choice of game, but there are small doors available that newcomers can come through and enjoy the experience. Despite all these apparent limitations, those who do take the bull by the horns will enjoy an endless amount of fun in what could be one of the best 3D fighters we have seen in a very long time. Let the King of Iron Fist Tournament begin! There was a time not so long ago when the Japanese role-play game was considered a beloved gem in the video game industry. Modern genres have unfortunately eclipsed the market for wonderful adventures, beautifully woven stories and larger-than-life characters. Tales of Graces f belongs to what is generally considered one of the best role-play franchises around spanning all the way back to Tales of Phantasia on the SNES. Coming from such gaming royalty, it is only fitting that Tales of Graces f is another engrossing and mesmerising adventure that while plays on particular clichés, introduces enough new content to make this an RPG worth your time. Graces f begins by introducing you to the common themes of friendship and love. Veterans of RPG’s and gamers looking for something a little bit different need not worry because while this is an age-old tale, it is told in an interesting manner. Graces f tells the story of a young lord Asbel Lhant and his discovery of a mysterious girl with amnesia (and obvious magical powers). Alongside his brother and love interest, Asbel and co journey to discover the newly named Sophie’s memories. Your journey takes an interesting twist immediately after the prologue because unlike most games, Graces f forcibly pushes the story forward seven years and lets you rejoin with your team of characters when they have reached adulthood. Giving you a sneak glimpse of their childhood is certainly an interesting way to create a strong emotional connection and it also provides interesting ties that all come together as you progress further through the game. 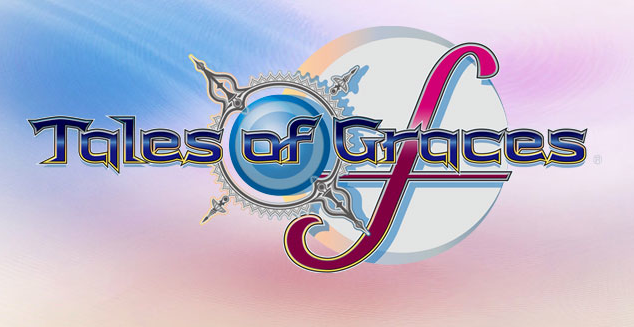 This is a real relief for Graces f because not only does the game start quite slowly, the prologue is in fact the weakest section of the game. Perhaps it is fair to say while you will be forced to grind your way through the beginning, Graces f builds the appropriate foundations to create an enjoyable and deep experience for you after. Graces f starts picking up momentum when you get on the road to explore. Unlike most Tales games, there isn’t actually a stereotypical world map, although one is unlocked near the end to allow exploration of past environments. Rather every section of the world is made up of connected pathways that you must cross. As a result Graces f feels considerably smaller than its’ predecessors, but by the same token it is compact, to the point and keeps pushing the pace. Fans of a real open-world adventure might be left frustrated by this but I really felt it was a good way to go -- keeping you focused on the goals at hand and always knowing where to be heading next is never a bad thing in my book. As with all Tales games, the combat is splendid albeit slightly altered from past titles. Artes (skills) make a return but are now split into A-artes and B-artes. The latter will be the more familiar with you able to choose what move corresponds to the circle button and direction of the analogue stick. The former however provide an advanced combo system for you to employ. The A-arte performed not only depends on the direction pressed, but how many hits you are into your combo. This certainly adds deeper levels into the combat when players are expected to time and count their hits to perform appropriate moves against their enemies. Graces f also introduces command points as your currency to perform attacks. These points are constantly replenished throughout battle but it takes time, forcing players to carefully choose between attacking and defensive stances as you wait to rebuild and mount another offensive charge. New abilities and artes are unlocked by earning titles, of which there are too many to count. Titles range from unlocking new skills, increasing the strength of current ones, adding resistances, learning support roles – all of which benefit combat in some manner. How you choose to unlock these titles and use them is all part of the fun here. It really is fair to say that Graces f has one of the most enjoyable and comprehensive combat systems ever seen from a Tales game – something that is certainly no easy feat to accomplish considering how good past games in the series have been. Graces f continues to impress with its absolutely gorgeous visual design. As with all Tales games, a wonderful cell-shaded approach is taken that explodes to life on the screen. Environments, characters and enemies all look gorgeous, making this a visual spectacle for the eyes. The narrative and dialogue are also quite impressive but some voices can get a little bit annoying. I love how Tales games use clever snippets and camp-fire like stories to really show relationships in your party build, giving you a real sense of partnership between your characters that just doesn’t appear in all RPG’s. As with all games, there are a few issues that do hold Graces f back. I have already mentioned the tediously slow prologue, but there are also particular problems with the difficulty curve. Graces f pretty much forces you to do serious level grinding if you hope to stand any chance against the majority of the games’ bosses. There’s almost no room for missing out enemies and you will definitely need every single experience point you can get because there are some pretty unbalanced monsters in this game that require a whole load of time to get through. This issue has been present in a few Tales games and perhaps a little challenge is what’s sometimes needed, but here Graces f strays over the line of challenge to frustration on occasion. That aside little can be said to fault what is otherwise a wholly entertaining, fleshed out and fun experiences. Tales of Graces f provides a stereotypical story but turns it into a wonderful adventure, one that you will feel privileged to partake in. An awesome combat system coupled with great pacing makes this a treat not without issues, but a treat nonetheless. Tales of Graces f is easily one of the most advanced and enjoyable games in the series to date. A new imagining of an already proven combat system gives players even more control and depth, while at the same time providing plenty of opportunity for exploration. This is also a more condensed and focused Tales game; meaning action comes more frequently, albeit at times the difficulty curve can be an issue. As with all Tales games Graces f is absolutely stunning in all forms of presentation. The graphics are beautiful, narrative and dialogue are deep, immersive and entertaining, the story while slow initially, picks up pace and is engrossing throughout. Even the little details like the menus and customization screens are well organized. When you reach the end of the game there is content to go back and complete for perfectionists. However, there really isn’t much reason to go back and play Tales of Graces f again unless you really did love it that much. This is a wonderful game, but it doesn’t have that same replay spark that classic titles like Final Fantasy VII, Final Fantasy X or Kingdom Hearts have for example. Tales of Graces f is an endearing and wholly immersive experience that fans of the role-play genre should absolutely consider playing. This is a PlayStation 3 exclusive so if you have Sony’s machine and are looking for something a little bit different, especially if you have never played a Tales game before, then I absolutely recommend giving Tales of Graces f a go. Who knows, this may be the game that might take you away from the Final Fantasy series if you haven’t jumped ship already – controversial! *Editor’s note – If you’re wondering why there is a random ‘f’ in the title, I did a little bit of research to answer that for you! Tales of Graces initially came out for the Nintendo Wii in 2009 and when it was announced for the PlayStation 3, the game was ported over under the title Tales of Graces f. That really annoyed me so I hope you can now enjoy the rest of your day! The Transformers franchise while ever-popular, has never really achieved true greatness in the video game industry, despite the numerous and varied attempts to bring our favourite 1980’s robots to our fingertips. Thankfully things are progressively getting better for the Autobots and Decepticons as Fall of Cybertron incorporates a heap of action alongside some stunning visual segments to really bring out the best we’ve seen so far of Transformers. This might not be the best game you will play this year, but it’s certainly enjoyable and there’s plenty of robot carnage to be had for fans and newcomers alike. A key goal in Fall of Cybertron is to give players access to a variety of different Transformers in an attempt to change up gameplay style and tempo. This doesn’t come into fruition in the first half of the game however as the majority of your opening hours is spent with Optimus Prime. While this isn’t necessarily a bad thing, the campaign mode never really finds harmony until the latter portions of the story. This is largely due to the action being entertaining but the pacing of the game being completely off. 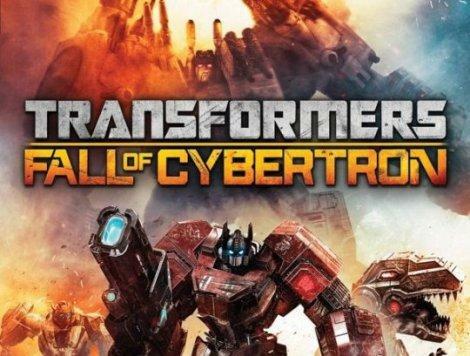 Fall of Cybertron has plenty of moments where you find yourself immersed in boring command prompts, watching sections of gameplay or footage – all the while giving you small amounts of action to really get stuck in to. That’s not to say that the earlier section don’t give a glimpse of what’s to come, on the contrary there are moments here that are thoroughly enjoyable, it’s just a shame they only begin flowing smoothly into one another when you’re more than half way through the game. When you gain access to the other Transformers that’s when the party really begins. Much like in Transformers: War for Cybertron, different robots have difference abilities ranging from air-combat, stealth gameplay and a more, direct artillery heavy approach. In particular the end-game is fantastic as the story switches you between characters on the fly in the middle of a hectic battle, really turning up the intensity and keeping you on your toes – thrilling stuff. Fall of Cybertron plays out much like any generic third-person shooter, but thankfully the variation in characters keeps the gameplay from becoming monotonous. Enemies although giant and made out of metal, are surprisingly easy to destroy, while you yourself are also relatively vulnerable when your shields are down. The best gameplay elements really occur when you find yourself in larger areas, especially those where you can fly around. Another standout element is the platforming, which is surprisingly fluid, especially when combined with cool shooting set pieces. This however really highlights one of Fall of Cybertron’s greatest weaknesses – the inability to streamline all these various gameplay combinations into one fluid experience. You feel the rigid tension as you progress from third person shooting to flying, to driving around or to bombarding enemies with melee attacks. These transitions are stiff and frustrating to deal with, but once you get stuck into the action, it is undeniably enjoyable. There are some cool additions and unfortunate omissions outside of Fall of Cybertron’s campaign mode too. Unlike War for Cybertron, this is a single player campaign mode, so no friends can jump on for a ride. However, the cooperative Horde mode Escalation returns and allows up to four players to get in on the action and defend against waves of mechanical machines. As with all Horde game modes, there’s plenty of tactics involved and with an in-game currency set up to help you survive, be sure to take only the best partners into the battlefield with you. Naturally there is also a competitive online mode present. All the standard game modes are available and the four variations of Transformers makes for highly entertaining, tactical and frantic matches, when you’re not interrupted by occasional lag. The best bit here is the ability to level up, earn experience and purchase a whole load of cool stuff, including aesthetic additions to make, wait for it, your own Transformer. Fans should go crazy for the customization options as you can tailor-make your own giant robot and show him off to the rest of the world in battle. Speaking of technological hitches, what on Earth is wrong with the PlayStation 3 version of this game?! Issues with texture, resolution, loading times and system crashes make this a game you want to absolutely avoid on Sony’s console and I don’t say that often. The other two versions seem to be good and don’t share the same issues as their cross-platform counterpart. My experience with the Xbox 360 version left a lasting visual impression – Fall of Cybertron is certainly a beautiful looking game. The in-game sounds of battle are also incredibly immersive but dialogue and narrative are pushing on very cheesy, which is a shame. There’s a certain affinity gamers have with giant robots, so I feel a better job could have been done with trying to bring players closer to their favourite Transformers. Due to the game diving you in and out of characters so frequently, you can’t be surprised that no one really gets enough time to shine. Transformers: Fall of Cybertron valiantly tried to correct the mistakes of its predecessor, but as a result discovered its own minor problems and issues. Kudos must be given as the game clearly tried to be more versatile and action-orientated, but more work needs to be done to smooth out the process and get all the different gameplay elements working together in sync. Fans of Transformers will have an enjoyable time with this addition to the series, but be prepared for occasional issues and some pacing problems. The games pacing means it takes a while for you to really settle into the action. However, considering the variety in Transformers, ways to use them and well-designed maps, it’s almost impossible not to have a good time. Some gameplay elements are obviously a lot better than others including flying or the platforming. Action gets hectic and thrilling near the end, only for you to complete it and jump into the online game modes or Escalation Horde made to keep the Transformers party going. From a visual perspective Transformers: Fall of Cybertron is beautiful. The level design is very impressive but the games pacing issues means the campaign itself is presented in a convoluted and frustrating manner. Too many cut scenes, prompts and static moments interfere with the actual gameplay. There’s no reason to replay the campaign other than to check out the last portion of the game, which is awesome. Competitive online modes could have you hooked for a while, especially if you like making your own Transformer. Escalation like any other Horde mode, will keep you busy for a little while. Transformers: Fall of Cybertron is a promising addition to the series. Certain changes have been made that suggest that this franchise is heading in the right direction, but it’s just not there quite yet. Issues with pacing really hinder the experience but once the game gets going in the latter sections, it’s a whole load of fun. Perhaps another instalment is what’s needed to really flesh out anymore problems and amend them to make a wonderful Transformers game for the future. In the mean time, enjoy this because Transformers: Fall of Cybertron is a good game. It is appropriate that after your dealings with War in Darksiders I, it becomes Death’s turn to artfully show off his craft. Artful is certainly a word you could use to describe this wonderfully ominous sequel as Darksiders II elaborates on the dark and grim world explored in the original and expands it into gruesome manifestations that even Death himself is fearful of. Darksiders II rightfully tweaks the gameplay mechanics and intertwining this with the beautiful world before you makes this one of this year’s most entertaining fusion of action, adventure and role-play yet. Darksiders II’s narrative while powerful and immersive, is complimented by the gorgeous surroundings you find Death visiting. This is a game that while not having the most engaging story can certainly draw you in with the visuals and atmospheric exploration. Death’s tale leads him on a quest to restore mankind in an attempt to clear his brother’s name of wrongdoing. The path you walk isn’t wholly new or enlightening through narrative, but the dungeons you explore and the places you visit, very much are. 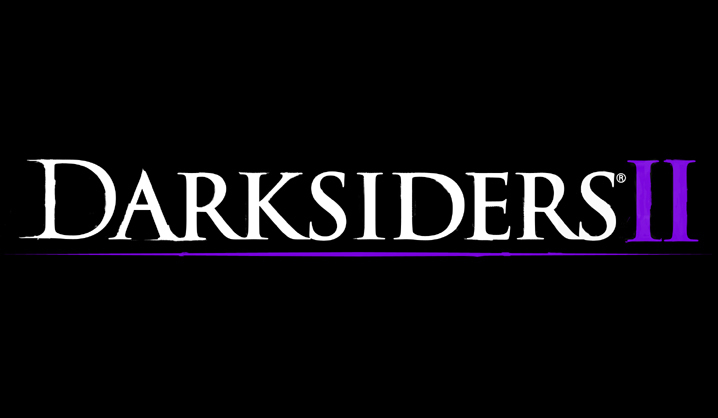 Darksiders II introduces you instantly to the game’s fighting mechanics, using primary and secondary attacks powered by eventual super and finishing moves. The combat feels similar to God of War’s hack’n’slash style gameplay, so if you’re into that then this is right up your alley. A major addition to Darksiders II over the original is the introduction of loot, which adds an RPG element to the game. Players will now constantly be looking for the best gear, weapons, accessories, all the while trading and selling unwanted goodies. This is certainly an excellent addition to Darksiders II, providing just enough extra variation to keep it from feeling like the exact same game. The inclusion of loot slots right in place as Darksiders II expands significantly in size over its predecessor. Weighing in at around twice the size of the original and almost twice the length, it’s certainly a testament to the development team for crafting such a well-paced game. Darksiders II gives you plenty of opportunity to explore the world around you before engaging in the story’s main quests. No longer do you have to go from action scene to action like in the original and this really gives Darksiders II an opportunity to wow you with the beautiful surroundings that befall Death. Of course there is only so much exploring you can do before you will need to get stuck into Darksiders II main adventure. An influence from The Legend of Zelda can easily be seen with the dungeons here, but once you begin taking on these dark and gruesome areas you will begin to understand that Darksiders II is truly a well-crafted and entertaining experience. It becomes very difficult to find a fault between the wonderful puzzle design, new abilities and varied boss battles that comprise each of the glorious dungeons that you must conquer. This is certainly the point where developer talent comes into play because there’s a fine line between being able to create an engaging, smooth and flowing environment or a really frustrating and monotonous one. Darksiders II nails the idea of exploration and completion here perfectly, so if you’re looking to reminisce over lost times spent in The Legend of Zelda-esque caverns, this is the place to be. Darksiders II isn’t all about exploration. When faced with horrific enemies and fearsome boss battles Death will need his utmost skill and best abilities to tackle these hordes. Your combat abilities are divided and mapped into two trees – summon assists and offensive attacks. Upgrading these skills and in what order is largely left to you as you begin to feel out your preferences in combat. The combat itself is smooth, free flowing and offers enough variety if you choose to acknowledge it. It is possible to smash your way through in a monotonous manner, but there are enough secondary weapons and other things you can incorporate to ensure combat doesn’t get stale. Fortunately a variation in enemies also helps to keep you from using the same old tricks, most of the time anyway. Unfortunately it’s worth considering that in terms of combat, Darksiders II is relatively easier than the original, with some of the games’ biggest enemies proving to be pushovers – especially on normal difficulty. This is perhaps due to again the pacing because you are given ample opportunity to master each new ability and powers that Death receives, making you an unstoppable monster in combat. When you combine Darksiders II incredible exploration with the entertaining action present throughout the story, it’s unmistakable that this is a quality game. If the main adventure isn’t enough for you, the Crucible arena is also present. Here players take part in a Horde-like game mode in exchange for better loot and equipment. So altogether there’s plenty to get your teeth sunk into. Darksiders II is definitely a very impressive game considering how well put together. There’s a load to do, plenty to find and most importantly, plenty to take in and enjoy. 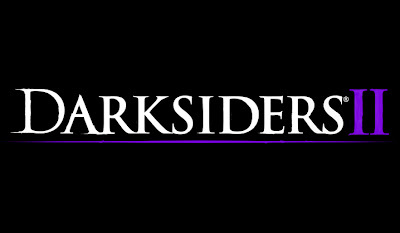 When a game takes inspiration from games like The Legend of Zelda, God of War and Prince of Persia, you know there’s potential for something compelling, but it’s just amazing how well all these elements have gelled while at the same time creating their own identity for Darksiders II. As a result, it’s absolutely worth your time to give this game a go because as far as action role-play goes, this is a stellar example of how the genres should mix effectively. The action is fast-paced, smooth and a whole load of fun. There are no nonsense quick-time events or one-hit finishers here – the combat is brutal, varied and very satisfying. If that wasn’t enough, when you enter the dungeons Darksiders II truly shines. Fantastic pacing and well-structured, these beautiful environments are full of clever puzzles and deadly enemies, making each new chasm, cavern or mountain, a dangerous delight to explore and complete. New abilities and weapons are introduced at a wonderful pace and the same thing can be said across the entire game – the pace creates the experience. Darksiders II isn’t the most beautiful game visually, but the actual visual design is gorgeous. The areas you explore leave you with lasting emotions, be it dread, or reprieve – sometimes a game doesn’t look phenomenal at first glance, but when you take in the sights and feel how they make you tingle on the inside, you begin to understand a whole new level of visual beauty, something that Darksiders II understood and aimed to provide to us as gamers. Needless to say, they succeeded. Darksiders II is an incredibly enjoyable game but there’s no real incentive to come back and play through this adventure more than once. Players looking for a greater challenge could perhaps come back for another shot or to 100% complete loot collection, but the real enjoyment can be obtained in the first play-through. Darksiders II is an elegant, dramatic and beautiful experience that gets so many things right. Highly enjoyable action intertwines with wonderful exploration to really give players the best of both genres. Then the rest is simply a testament to the wonderful development team behind this project because incredible visual design, pacing and depth help make Darksiders II more than just a game, but a really engaging experience. *Editor’s note – There has been a lot of talk about issues on the 360 version of the game including slowdown and crashes. I can confirm that the 360 version I played did suffer from two system crashes. The same has not been confirmed for PS3 & PC. It’s also worth noting if you don’t have this game and are getting a Nintendo Wii U, this title will be coming out for Nintendo’s new home console. Well, here it is. Google’s first foray into the tablet market using their own Nexus branding. After the success of the Galaxy Nexus smart phone it was inevitable that the search giant would dip it’s hand in to the Tablet market too. Especially given that most Android tablets have not really measured up to the success of Apple's iPad. So can the 7” tablet square up to Apple’s behemoth? Can the Nexus 7 carry on the Nexus lines success in to the Tablet market? Can the quality of the Nexus line be maintained now given that this Nexus device is made by Asus and not Samsung? Read on. It’s no secret that I’m a sucker for beautiful design. I relayed the issues this has caused for me in the past in previous reviews (HTC sensation…I’m looking at you). So I tend to approach gadgets and gizmos that I like the design of, with some unease. That’s the feeling I had upon first opening up my Nexus 7’s box, unease, because it’s a looker. It’s not so much the front of the device that’s appealing to me, it’s pretty plain, which is fine, I enjoy minimalism over brash design nine times out of ten. The real trump card in the design for me is the back of the device. The Nexus 7 has a soft touch, dimpled material that both looks and feels superb. I actually remind’s me of golfing gloves, and as silly as that sounds it actually gives the Nexus 7 a really nice touch and feel when being used. In a previous review I expressed my distaste for plastic that has been made to look like metal. The Nexus 7 does unfortunately sport one of these plastic strips around the outside. But it doesn’t bother me as much on the Nexus 7 as it did on the Galaxy S3. It doesn’t appear as glaringly obvious as it did on Samsung’s flagship and it has a sturdier feel to it. The volume rocker sits on the side next to the power button and is in keeping with the minimalist design. They actually sit a little further back on the device rather than being mounted directly on to the side. It’s a nice touch that means they don’t break the fluidity of the devices design. In fact, looking straight on they’re not even visible. All in all, this really is a great looking device. The Nexus 7 sports a quad-core Tegra 3 CPU with 1GB of RAM and a choice of 8GB or 16GB internal storage, this means it packs a punch in the hardware stakes due to it’s Tegra CPU and ram. It also sports other features such as Wi-Fi 802.11b/g/n, NFC, Bluetooth 4.0, GPS, gyroscope, accelerometer There is a 1.2 mega pixel camera mounted on the front but a lack of back facing camera. This basically means that the camera will barely be used unless you’re a heavy Skype or Google+ hangouts user. The display is a 1280x800 LCD screen. Text and pictures are pretty clear and the display is for the most part great. Though it must be said that the quality is not up to the same standard as Apple’s retina displays. However on a 7” screen it’s perfectly serviceable. One thing that I have noticed in my time with the Nexus 7 is a small flickering of the screen that appears when using apps/internet sites that have a lot of white or light colours whilst I’m in an area with low light. I’ve had a look around the Interwebs and it appears to be a relatively rare issue with the backlight on some models. But I still thought it worth mentioning in case others run in to the issue. Some may miss the lack of 3G support and at times I was one of them. But given the relatively low price of even the higher storage model it’s something I can live without, I do however, have a phone I can use on the go and there’s also the option for tethering. Battery life is actually pretty good, though charging to full took a fair amount of time. Obviously battery life is effected when say, watching movie or gaming. But generally battery life was really good. 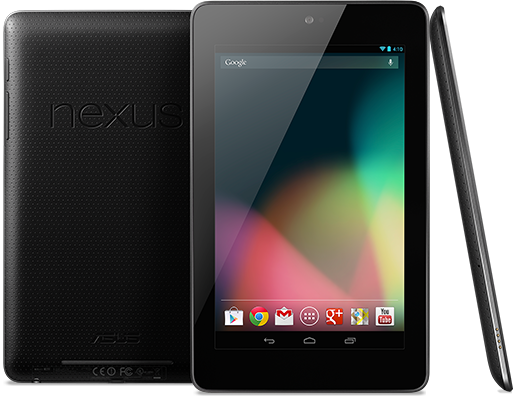 The Nexus 7 runs the latest version of Android, called Jelly Bean. Google’s last version of Android was Ice-Cream Sandwich. It was a massive improvement over previous iterations and Bean really fine-tunes a lot of what was already great about it. One of the new additions to the software is Google Now, which for me is the most important addition in this Android release. Google Now may at first seem like a Siri clone, and whilst it does have similar functions to Apple's PA software, Google Now goes a lot deeper. The software recognizes repeated actions that you perform on a day-to-day basis. This includes search queries and calendar appointments. But most interesting for me was it picking up on locations I frequent a lot, places like work, my own house, my local pub. This means that it can learn for example, your commute to work and advise you on your route and inform you of any delays. It’s a really great piece of software. I also like the fact that the voice sounds a lot more human in Google Now. When asking Siri for weather advice I often feel as though HAL 9000 is answering me. There’s much more I could say about Jelly Bean, too much in fact. The next review I’ll be doing is actually a full Jelly Bean review. So far, this is a really great piece of software to use on a daily basis, Androids come a long way, so far in fact, that IOS should be worried. What can I say? It’s pretty obvious I love this thing. But do I need it if I already own a phone with a 4” plus screen? Maybe not. If I were to go out and buy an Android tablet would I buy this one? Yes, hands down a thousand times yes. There really is no other Android tablet right now that is in the same league for this low price. Does it measure up to the iPad? I think it does (though obviously not in screen size and camera capabilities). But the Nexus 7 running Jelly Bean at this low price is sure to steer some away from the iPad and that’s pretty much all Google wants. It’s no secret that Google are selling the Nexus 7 at cost price meaning they make no money off tablets sold. This is purely an exercise in getting people to use their ecosystem which is where Google makes it’s real money, and boy is this a hell of an exercise.